Every employer who is doing a trade or business and who is paying remuneration, like noncash payments of $600 or more for the year for services given by an employee should file a Form W-2 for each employee. No matter whether your have worked full or part-time, the IRS consents that every company you worked for should give you W-2 Form, Wage and Tax statement, in order for you to file your taxes at the end of the year. You will be happy to know that people are able to get their W-2 Form online from their human resources or administrative departments in a number of companies. Learn how to get W-2 form online, if it is available in your company. Forget the traditional procedure of getting your W-2 through mail, as online delivery process provides you instant access to your W-2 earlier than it. Furthermore, it reduces the possibility of W-2 being lost, misdirected, or delayed during delivery. It’s super easy to sign up, and enroll for online delivery; also you can withdraw your enrollment at any time. Opting for online delivery of your original W-2 means not getting the traditional paper copy in mail, instead you will be able to see as well as print your W-2 directly from your secure account. Once you have successfully enrolled, you will get an email confirmation and another email notice the moment your W-2 is presented for viewing and printing. 1. If your company provides W-2 form online, then employer will send you a link in your email. What you have to do is just click on the link, and you will be directed to the company’s document base on which you can see the W-2 in a PDF version. 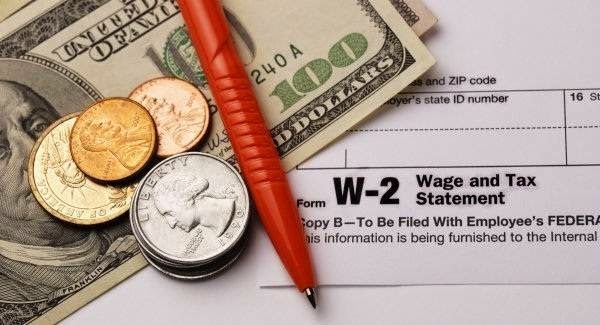 W-2 is a document of privacy so you have to give correct answers of the questions related to your identity. Then download your W-2 in PDF version. 2. Several companies don’t give W-2 form by themselves, so they have to cooperate with a professional company delivering such service. Catch hold of W-2 Management by going to the website - www.w2express.com. Set up an account with a particular number they want, create the password or enter the password given by your employer. Then login and get your Form W-2. The details will be just held for a limited time, so download your W-2 form as fast as possible. Companies that send above 15,000 W-2s can enroll into W-2 express as it decreases costs within the company's payroll service. W-2 Management automates the W-2 procedure, together with printing and giving original statements, reissuing W-2s, and making possible corrections. W-2 Management lets employees print original W-2 Wage and Tax Statements through the web; W-2 reissues are delivered to employees instantly through the web, fax, or mail; while for W-2 corrections, W-2 Management posts full information on a secure website for the employer to review and endorse. Nearly all features are offered both online and through any touch-tone telephone.